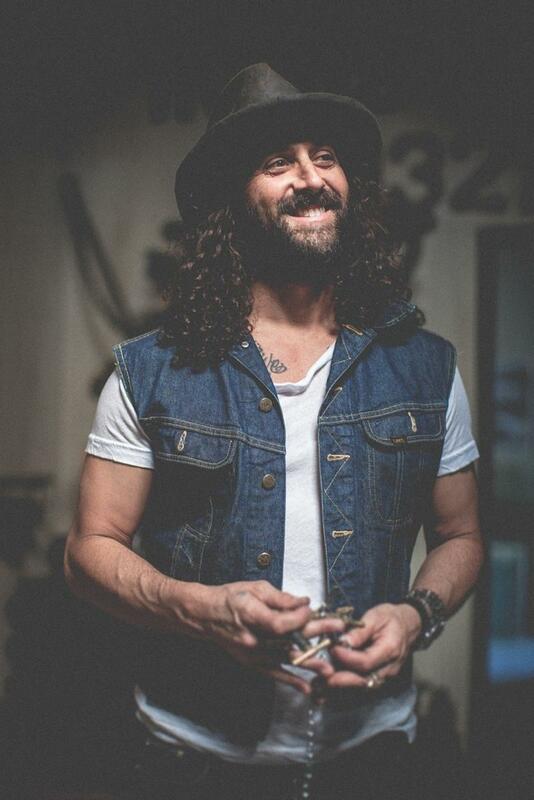 Jason Schneidman works with celebs like Rob Lowe, Hugh Jackman and James Corden. Success stories happen a million ways. In Jason Schneidman’s case, it was a chance meeting with super-stylist Chris McMillan that paved the road to his becoming one of the top men’s hairstylists in Hollywood, coiffing Rob Lowe, Hugh Jackman, and Bruno Mars, and also grooming James Corden nightly for The Late Late Show With James Corden. But the Dove Men+Care expert’s career started as a hobby: He’d give his buddies trendy cuts after skipping school to surf. We chatted with Schneidman — whose wife frequently styles Jennifer Aniston’s famous locks — about how he got here and his top tips. So how did you begin cutting hair in the first place? I wasn’t the best student in high school, and a lot of times I ditched school to go surf with my friends. After surfing I would just start cutting all their hair as the styles were changing. Once I graduated, my parents told me to pick a trade, and suggested cutting hair since I was already doing it for my friends. I was super skeptical, but once I showed up to school and saw it was me and all girls, I was pretty happy. I bet! Beyond that you must have enjoyed the process as well. I think it was just a passion that was instilled in me. I had a burning desire to be creative early on, and I had an ability to see shapes and rearrange people’s hair and make them feel good. You really don’t cut women’s hair at all. Why specialize in guys’ hair? I really developed my greatest skills with men. 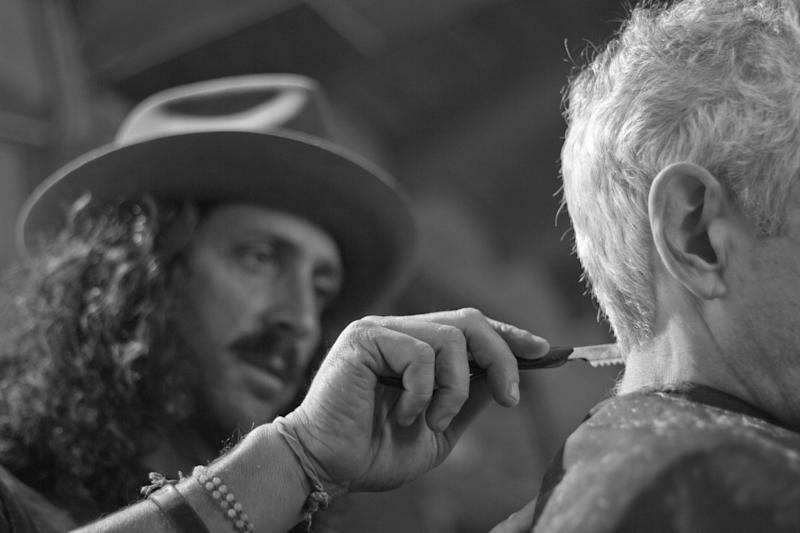 Men like consistency with our hair and we like it to be quick — in and out of the salon fast. They are also just less drama and pretty good tippers. How did you end up with a chair at Chris McMillan Salon? I was partying and surfing a lot, but when I turned 30 I realized it was time to get serious and I moved back to LA. I coincidentally met Chris McMillan at a meeting and knew he did Jen Aniston’s hair, so I approached him. He let me come watch and learn from him in the salon, but I didn’t pick up any scissors for a year. I just watched him. Eventually he started seeing my cuts around town on guys and when a space opened up in the salon, I happened to be in the right place at the right time. Is that where you picked up your famous clientele? I specialized in men’s cuts, and a lot of celebrities and publicists would call the salon asking who did a good men’s cut, so a lot were directed to me. After that, a few asked if I would be their personal on set for camera and editorial work. That’s when I started to learn the grooming and makeup side of things and from there it all just snowballed. You also met your wife at the salon — you owe Chris big time! I decided to walk up to her and tell her she was cute. She said the same thing back to me and the rest is history. Have you had any crazy experiences working in this industry? I’ve had to do haircuts and style guys in some situations that have been pretty interesting and challenging at the last minute — think airport hangars, the back of limos, stuff like that. How is it working with Rob Lowe? He’s a perfect person because the guy doesn’t age. He’s fun. For Grinder he’s styled really fast and edgy; I set all the looks for that show. One of my favorite shoots was with him for Chrome Hearts. He looked like Johnny Knoxville with facial hair — it was amazing. Your go-to tool is your small round Men’s Groomer brush, which you use to style the front of guys’ hair. How did it come about? My close friend I grew up surfing with originally made the brushes, but he had to stop a few years ago and I was honestly lost without them. It was the perfect tool for men and I asked if I could take over producing it! People love it. Do you have an eye on expanding that? My ultimate goal would be to have my own line of Men’s Groomer tools sold in salons across the country — that and my own Men’s Groomer salon. What is the cut of the moment for dudes? I like to call it the ‘movie star cut.’ It’s the perfect length for guys: long on the top and a bit shorter on the sides, but not buzzed. I like to style the top with Dove Men+Care Fortifying Styling Paste ($6), and push the sides down a bit. It’s classic meets modern. Right now I think the ‘90s are coming back. We’re seeing guys with longer hair and less short cuts. What’s your best men’s styling tip? I always suggest guys don’t wash their hair — it’s kind of the secret to styling hair. I actually use Dove women’s dry shampoo on guys. It’s only a matter of time before they make it for men. It gives you a few days and holds your hair up, adds volume. I suggest going at least two days, but guys with curly or wavy hair can go four. You can rinse it with hot water in between shampooing, and run your cologne through it. It’s really unhealthy to be stripping out all the natural oils god gave you. 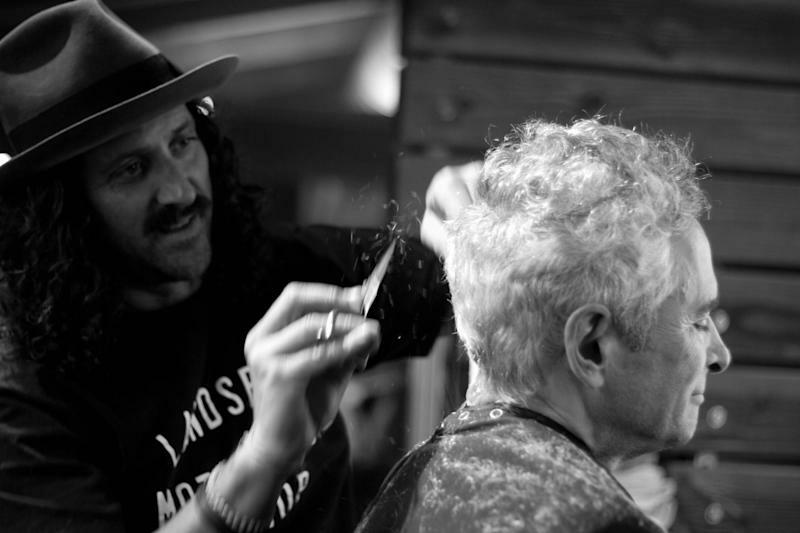 What’s something you’ve learned over 30 years of cutting hair? You gotta fake it ’til you make it. Probably 80 percent of hairstylists are faking knowing what they’re doing. But me, now, when it comes to men’s hair, I f—ing got this. 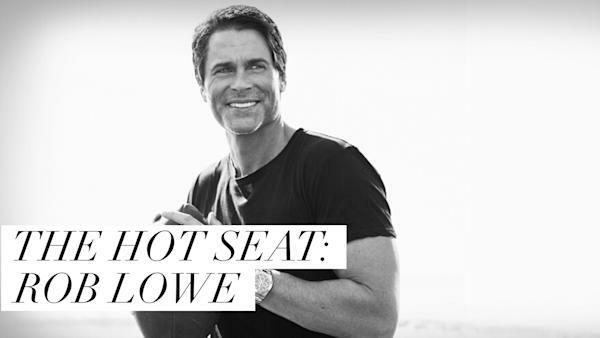 Eternally youthful actor Rob Lowe spills about skincare, Madonna and The Brat Pack.